As someone who has been struggling with chronic illness for years, I have learnt to be thankful for small things, no matter what they are. Being chronically ill can be very overwhelming and can actually take over your life, leaving you feeling down and even angry a lot of the time. Early on in my illness, someone told me that the best way she coped was to be thankful for the small things in life. She explained that gratitude had a way of helping her to cope with the daily struggles she faced because of her chronic illnesses. As someone who has followed a pagan path since the age of 14, this was something that felt right for me too. I know many people with chronic illnesses feel really isolated and helpless and for me, I was looking for something to focus on that wasn’t all about the illnesses. People turn to prayer, people turn to meditation, people turn to support networks, people do what they can to cope the best way they can. I am not religious and I often find that support groups can be overwhelming, if not fraught with power struggles and drama – not all are like this, I hasten to add. When I started showing gratitude for small things in life I started to feel less tense, more accepting of my illnesses, and more relaxed with my life as a whole. Gratitude allowed me to view life differently. Gone was the anger and bitterness that my body had failed me. Gone were the resentful feelings I had been harbouring towards people who weren’t sick. I began to view everyday as a blessing. Whilst I was not brimming with vitality and good health, I was at least alive. By showing gratitude each day I actually began to see life from a more positive viewpoint. Don’t get me wrong, I still have days where I feel like I am the biggest, grouchiest bear there is, but those days are less frequent now and I put it down to the power of positivity and practising gratitude. 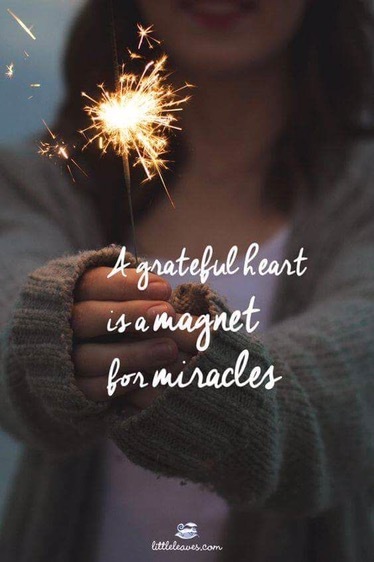 I have found that there really is always something to be grateful for. It could be something as mundane as the weather not being so hot, or it could even be that the doctor’s surgery wasn’t so busy and I was seen fairly quickly, rather than having to wait for a long time. Gratitude doesn’t need to be based on materialistic things. Gratitude can be small and simple; a beautiful flower you can see, the sound of a child’s laughter, a sunny day, a decent night’s sleep, absolutely anything that makes you feel a little better about life. 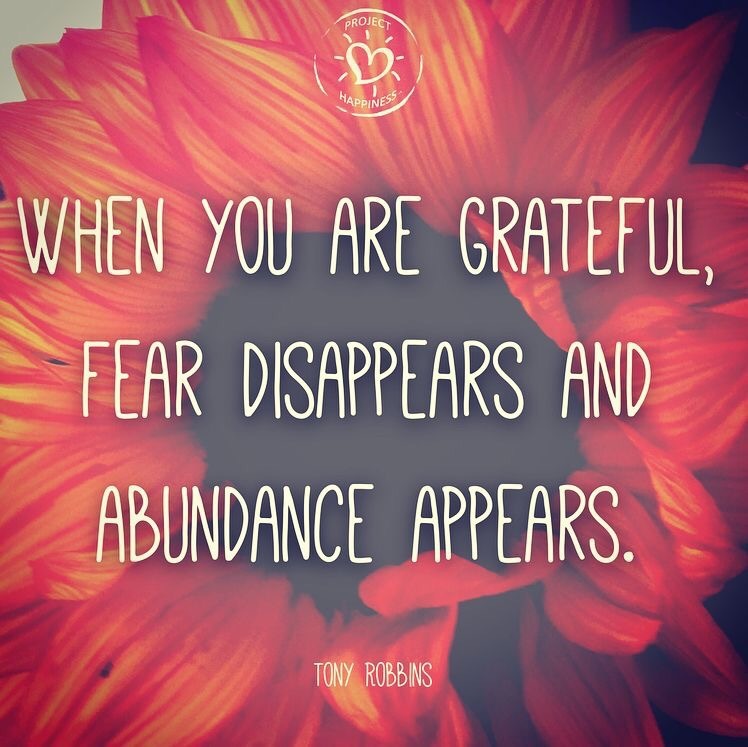 And once you start feeling grateful for small blessings, more blessings start to manifest in your life, making you feel even more grateful. Of course, the simple things in life are as equally important as larger blessings, and once you begin this practice you soon learn that you are surrounded by blessings and miraculous things. 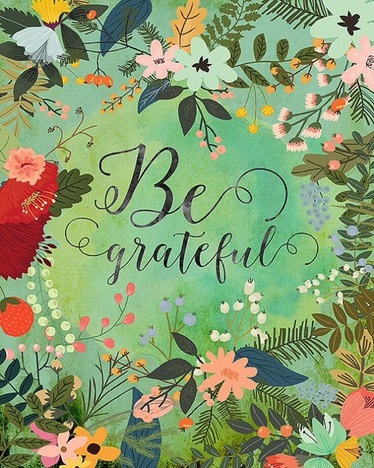 Being grateful helps us remain positive and this can help reduce stress in our lives – totally a win-win situation. Practicing being grateful does not mean you will turn into a peace-loving, dope-smoking hippy, 😉 there will still be things in life that annoy you, that challenge you, that upset you, etc, you’ll just feel more abe to deal with them, and that in itself is a blessing. Some people like to keep a gratitude journal. This helps them to focus on the positive things in their lives, and also keep a record of what has made them feel grateful. Other people like to verbalise their gratitude, whether that be out loud to themselves, or whether they record what they are saying. There is no right or wrong way to practice being grateful, whatever works for you is right for you. Bullying, it’s not big and it’s not clever. I try to do this. I go in spurts. With new symptoms occurring it tends to send me back into a tail spin!